Some day´s ago I recived some of the dark angels miniatuers from the Dark vengence box. My first choice was to paint the Librarian, mainly because I wanted to paint something blue and I had no miniatures that would end up as Ultra marines at hand. 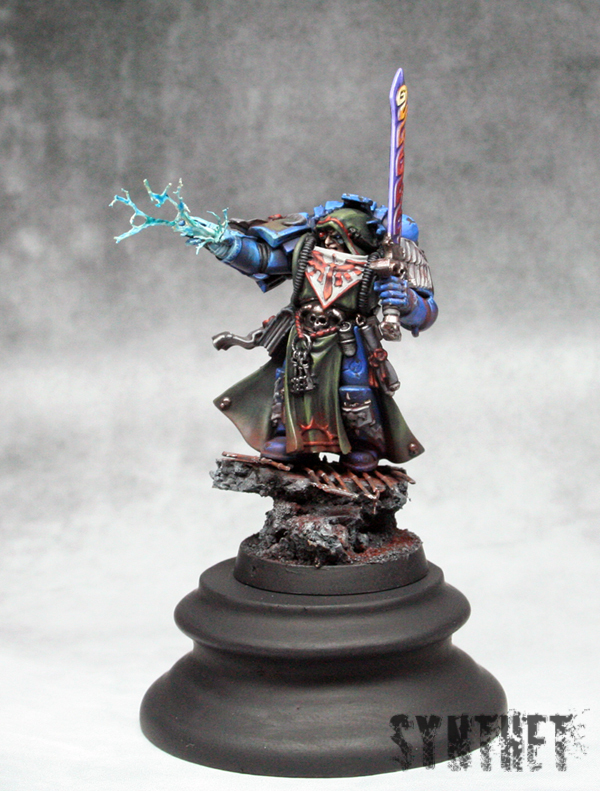 My next miniature from the Dark vengence box will probably be the Chaplain, but that would have to wait some time. I have some other project´s that I would like to finish before. Remeber, keep your brush pointy and your colors wet!